Let Me Invite You for a Coffee @IMEX Frankfurt 2018! It’s Spring time and with Spring time comes IMEX. 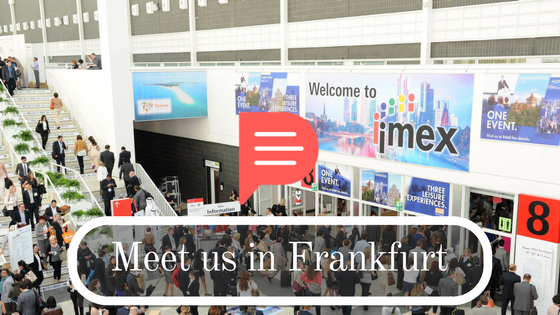 IMEX Frankfurt 2018 show is taking place this year from 15th to 17th of May. We are working hard on rebuilding completely the Planify web manager, to improve your experience planning group travels on Planify. The new version will allow you to fill the travel itineraries ways faster (2 to 3x quicker! ), as well as being able to export a beautiful version of the plan as a brochure (as a PDF or to be printed on paper). Our vision – Design your travel itinerary in one place, share it everywhere! – will soon become a reality! I’ll be visiting the famous incentive, travel and meetings fair IMEX Frankfurt on May 15th, and I’m excited to show you the new version of Planify web manager… or simply to meet and discuss the current challenges of the group travel industry! If you happen to be there, why not grabbing a coffee together?